Juzo Soft Thigh High Stockings offer stylish, effective and hygienic solution to your legs suffering from venous insufficiency, lymphedema, and edema. 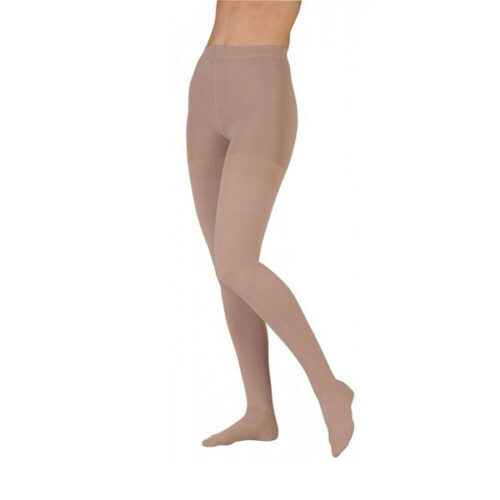 Ensuing soft feeling, these thigh high compression stockings are smooth and comfortable to wear. Made with fine knitted and breathable fabric, these thigh high compression stocking exert compression ranging from 20-30 and 30-40 mmHg on your legs and provide maximum relief and comfort. These thigh stockings can let your skin breathe and maintain coolness. Juzo Soft Thigh High Stockings can easily treat moderate to severe varicose veins, moderate swelling, moderate edema / lymphedema, varicose veins during pregnancy, leg swelling following surgery, sclerotherapy, orthostatic hypotension, postural hypotension and help prevent DVT (Deep Vein Thrombosis).